Doctors prescribe all sorts of things for their patients, like drugs, medical procedures, and changes to diet and exercise regimen. Prescribing a software application—one that helps a patient manage diabetes, for example—may sound futuristic to some people. But to Mike McSherry, CEO of Xealth, a Seattle-based startup that announced $11 million in new funding Wednesday to help fuel its continued growth, prescribing digital products and services is where the healthcare industry is headed. “We let doctors prescribe almost anything that can be digitally facilitated to advance patient care,” McSherry says. Xealth is among the startups riding a wave of funding for digital health ventures. Early-stage businesses in the sector hauled in $14.6 billion in venture funding in 2018, according to New York-based StartUp Health. The latest capital injection will allow Xealth to continue developing its technology alongside the startup’s healthcare provider customers, as well as device makers and other software companies, some of which have also invested in Xealth. 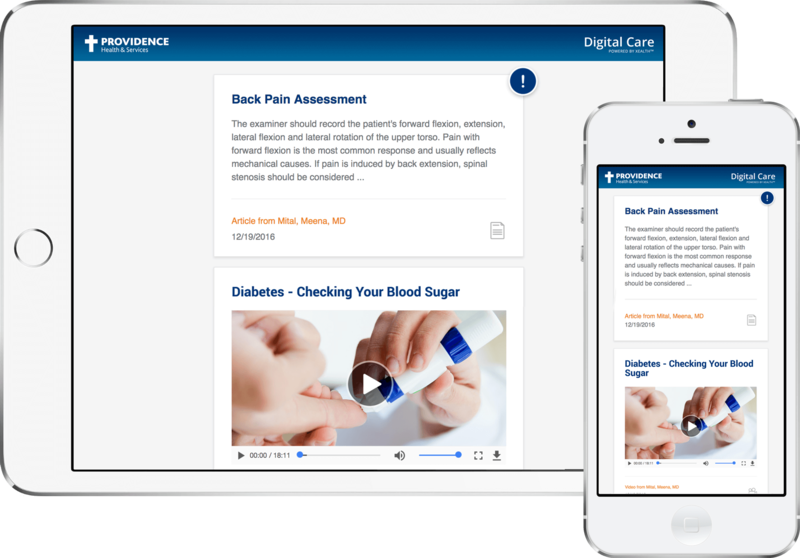 Xealth’s cloud-based software gives clinicians a one-stop shop for prescribing a range of digital health services that have been approved by the hospitals and clinics where they work. These services can include educational materials like articles and videos about preparing for, and recovering from, a particular surgery, McSherry says. Xealth also allows users to prescribe mobile apps for areas such as maternity care, behavioral health, weight loss, and managing chronic conditions, he says. “Think of us as a power strip that they can plug in any digital vendor on top of us,” McSherry says. The startup, which launched in 2016 and raised $8.5 million in seed funding the following year, has worked to build a client roster that includes several highly-rated US academic medical centers, including Baylor Scott & White Health, Duke Health, and UPMC in Pittsburgh. Xealth’s tools are designed to integrate with electronic health records (EHR) software sold by companies like Cerner (NASDAQ: CERN), Epic Systems, and McKesson (NYSE: MCK). Only 1 percent of US hospitals still rely entirely on paper records to document patient information, an indication that today, most clinicians use EHR systems to update patients’ medial charts, order prescriptions, and perform other actions. “When a clinician is recommending an action for the patient to do post-visit, we have an activity inside of Epic that the clinician clicks on,” McSherry says. “It’s a recommendation algorithm that surfaces the appropriate digital assets against that patient’s clinical eligibility,” meaning factors that could determine whether he or she is an appropriate candidate for a particular digital service, he says. When assessing eligibility, the fields Xealth’s software looks to include age, gender, measurements of the blood glucose marker A1c, and scores on a questionnaire assessing whether the patient is depressed, among many others. With certain types of digital services that clinicians can prescribe using Xealth’s software, patients access the associated content through online portals, McSherry says. These Web-based applications, which are developed by both EHR software vendors and healthcare providers themselves, have become popular with patients for tasks like requesting refills of medications and viewing lab test results. Ordering a prescription using EHR software sometimes requires a “prior authorization” to determine whether the patient has insurance coverage for a particular medication, and is willing to foot the cost of the drug.